Just because it’s no longer summer doesn't mean that Ibiza stops giving. Being on Ibiza during low-season gives you even more reasons to love the island with incredible sunsets that light up the sky, amazing nature to go and see, superb food and drink to try - even parties to blast the night away. The only way to find out is to come and see for yourselves. Ibiza is simply quite beautiful and in the colder months, there are still plenty of sunny days where you can even get a bit of a tan. Beaches are deserted and hence more alluring; it's easier to get out and about in the day and enjoy the entire island from the coast, countryside, towns and villages without searing heat, meaning you can discover more. This is the time when the island takes a breath and more sustainable activities like paddle boarding, kayaking, walking and cycling come into play offering rich rewards. When the low-season kicks in, it's full steam ahead for Ibiza's eateries to offer some great three-course menus and tapas offerings for very, very reasonable prices. These food events celebrate local and seasonal ingredients, cuisines from all over the world and local and Spanish culture - sometimes all three in one event. In November and December it's Ibiza Sabor across the entire island, Restaurat in San Antonio plus Tapavi and Rutapa in Santa Eulalia. Come January Patromoní Gastronomic comes to Ibiza Town and a must try is the tapas tour, Pintxa San Antonio in February and March. Finally, in April Ibiza Sabor returns for spring. Live like a king though do watch the waistline. That's right. Just because there's no influx of tourists as in summer, it doesn't mean that there's no late night fun on the island. Pacha is open all year round taking on Friday and Saturday nights in the low-season, meaning you really will not miss out if you fancy a break outside of summer. Add in the monthly events at B12 and you have quite a party selection. Early December can mean only one thing for oenophiles, yes the San Mateo Festa del Vi Pagès, a one-day festival celebrating the local wine produced in the fertile region of San Mateo. Why this is good: you can try the wines from local producers free of charge accompanied by the local spicy sobrasada sausage to line your tummies. A word of warning, the wine is very delicious and you will want to have a good amount of tasting so think about a designated driver or taxi to transport you at least from this event and then the next day clear any hangover with a brisk walk or dip in the cool sea. Note: this year's event is due to take place on 15 December. 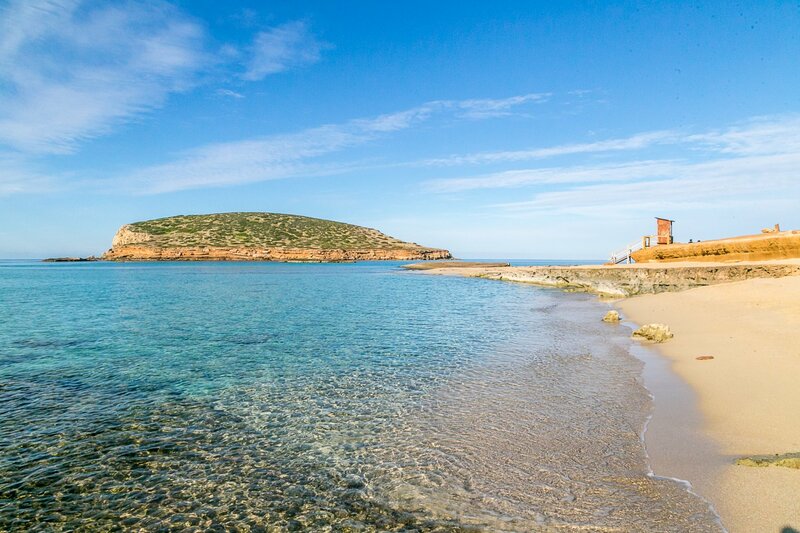 Spending the day on the beach on Christmas Day on Ibiza is perhaps one of the most magical experiences to be had. Work up an appetite before heading off to your meal of choice. A similarly invigorating experience is New Year's day with the New Year's Dive gathering together people for a morning dip in the sea on Las Salinas beach. Later you can head over to either DC10 or Pacha for their New Year parties and dance the day away. Do swim and club and you have an excellent way to embrace the first day of the year. An important part Ibizan and Spanish diets, the almond is much venerated and you will see almond trees all across Ibiza. In February and March when in bloom, these trees are exceedingly pretty with their light, whitish pink flowers colouring the fields and valleys. Especially good is to see the trees illuminated by the full moon, when they take on a ghostly silver glow as if from another world. Many walks are offered to go and see this late-night spectacle around Santa Inés. Seeing this ethereal sight is more than well worth the trip. Who doesn't love a dance and costume display, we certainly do? In February, a low-season highlight is the Ibiza Carnival with events taking place across the island. The biggest and best is the one in Ibiza Town, where the local dance schools participate widely with colourful costumes and dance displays inspired by film, art and music. It's not a surprise to see the entire cast of characters from animated Disney movies make their way past you. You can also catch events in Santa Eulalia, San Antonio, San José, San Juan and over on Formentera. It's a much-loved event and a chance to shake off any winter blues. Winter is great time to seek out ways to renew the body and on Ibiza, there are yoga retreats aplenty all through the low-season. Spend a week finding your inner calm in a variety of different retreats. Of course, if you don't want a full on yoga masterclass, then know that there are a variety of drop-in classes on the island, so come and enjoy the island's lower accommodation costs and choose from the large number on offer, which a simple Facebook search will throw up fast. Ibizan sunsets are the thing of legend and it's their high-season during the low-season as it is for sunrises. See the sky painted a palette of oranges, pinks, yellows, violets and deep reds that are truly beautiful. The sky is clearer and cleaner making for a more vivid and wider range of colours, especially on the days after rainfall. What's great too is that these fantastic light shows can be seen all across the island, so no need to head west or east. A duo of daily treasures that are easy to catch.